You are here: Home / Uncategorized / First Comic! It’s a proud day for me! Baby Noah’s first comic book…!!! 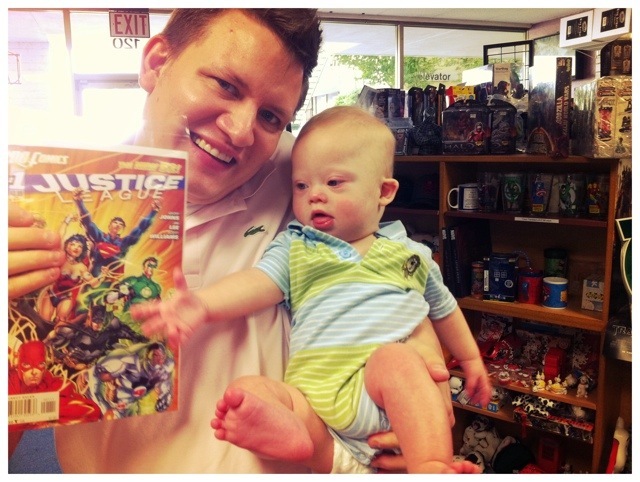 I’m looking forward to coming to the comic book store once a month with Noah as he grows up. Being a dad is awesome!